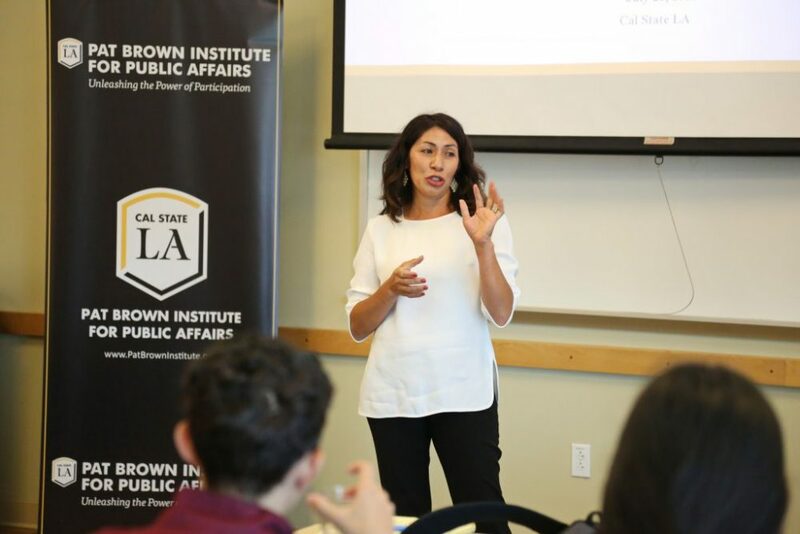 For the month of July, the Institute partnered with the California Latino Leadership Institute (CLLI) to host their 2017 Summer Fellows. 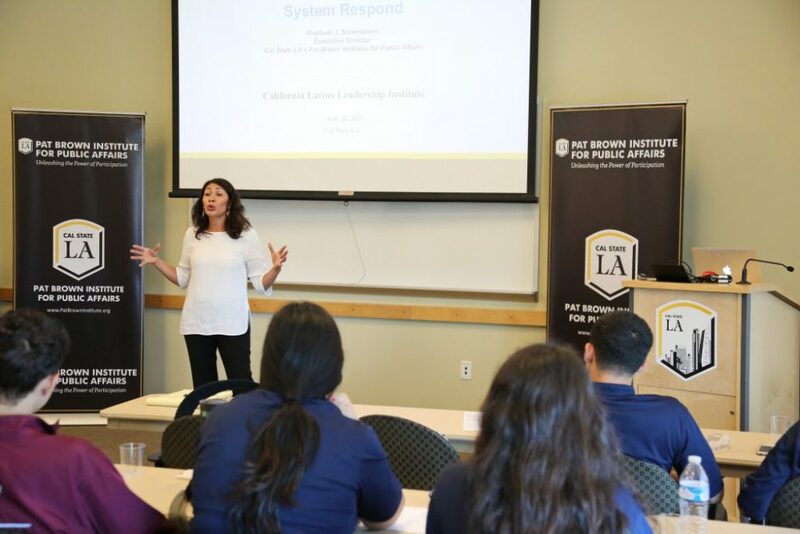 The CLLI Fellowship is a rigorous 7-week program aimed to close career opportunity gaps, engage with the municipal structures, and inspire positive, ethical and sustainable change within Southeast Los Angeles. 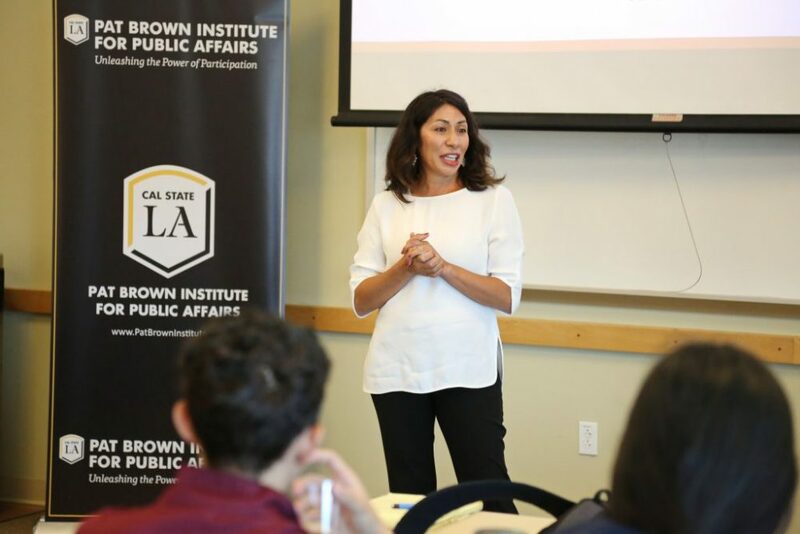 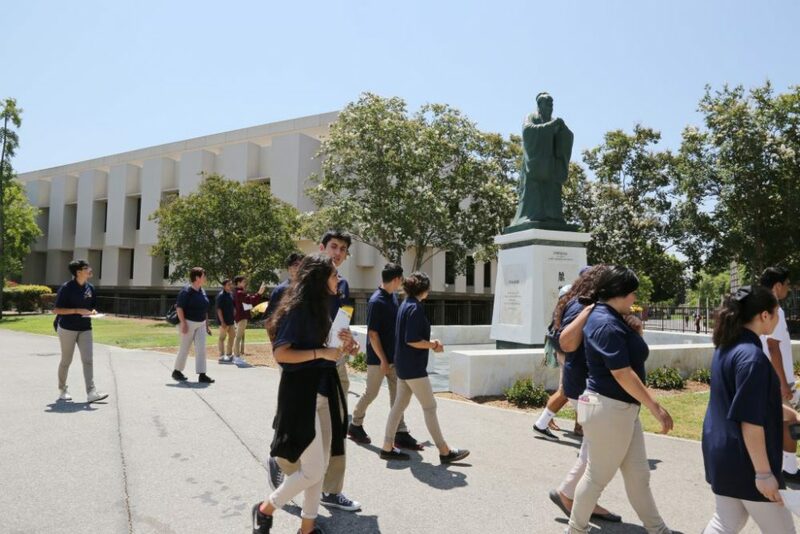 The 2017 California Latino Leadership Institute Summer Fellows came to Cal State LA for a three day series of workshops that included a Civic University program, a tour of the university, a presentation by Cal State LA’s Writing Center and a conversation with Emiliana Guereca, one of the lead organizers of the 2017 Women’s March in Los Angeles. 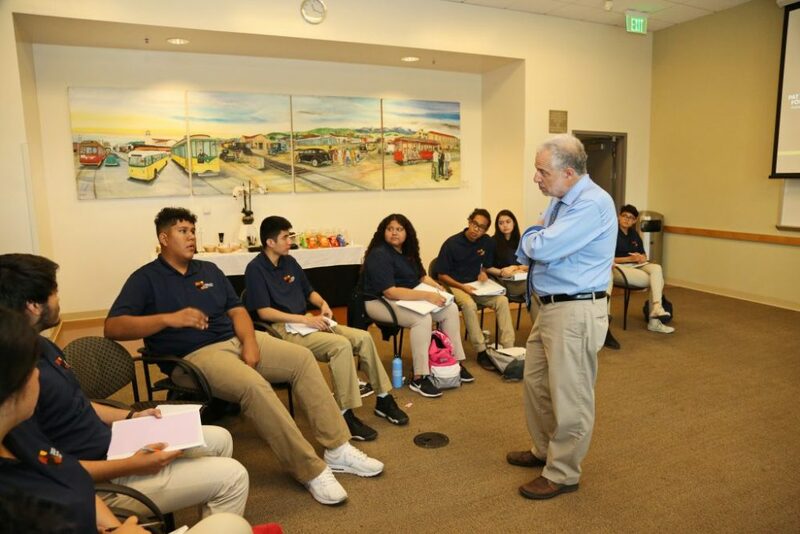 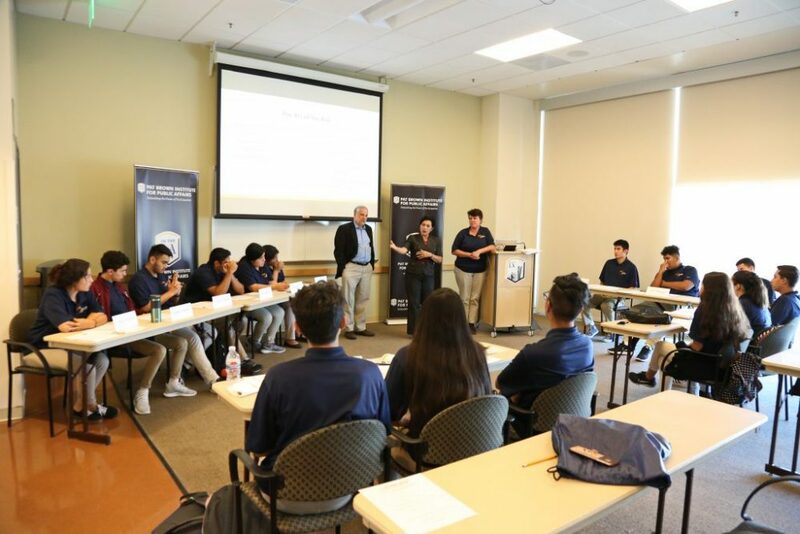 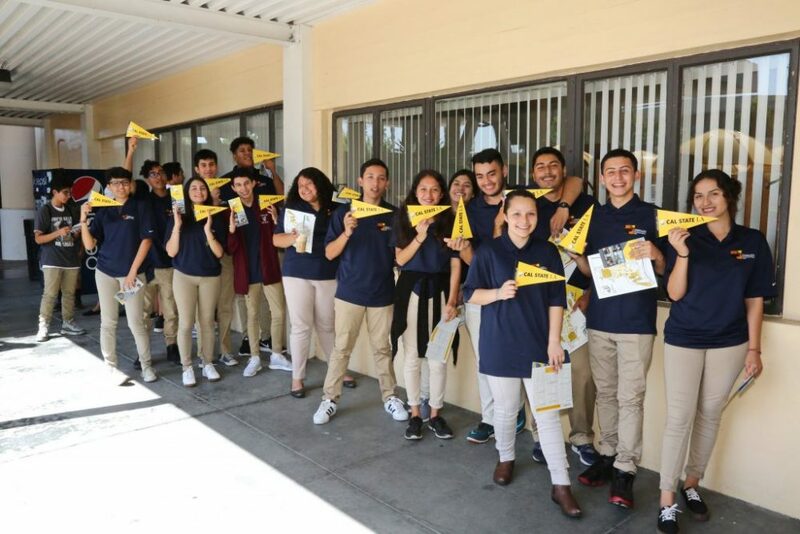 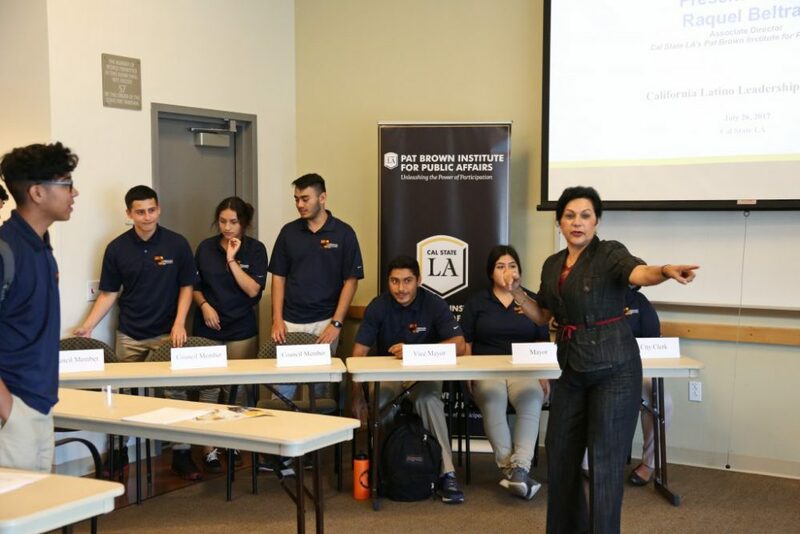 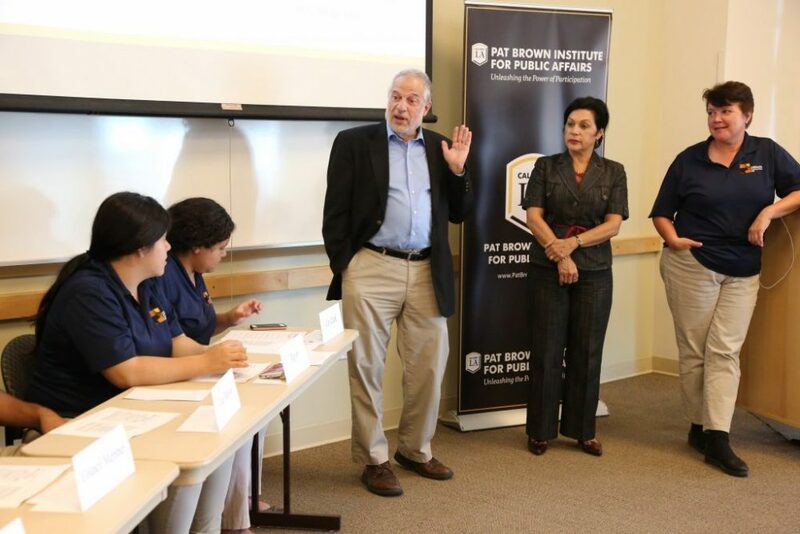 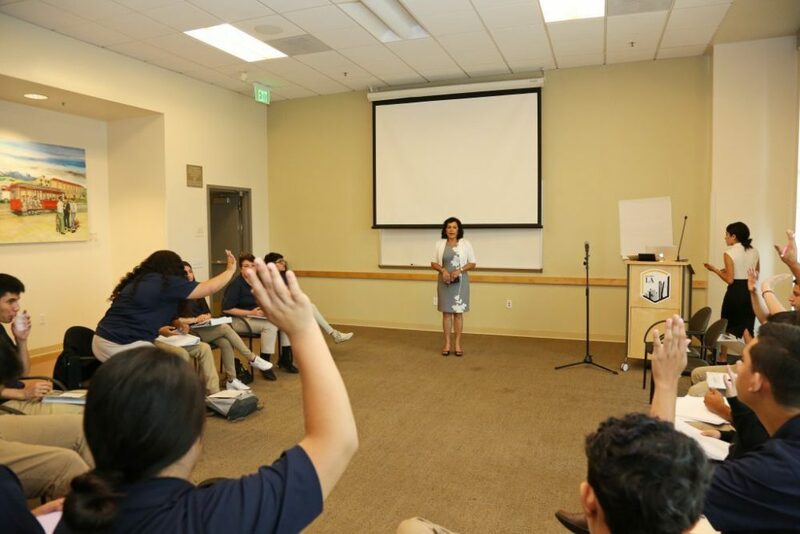 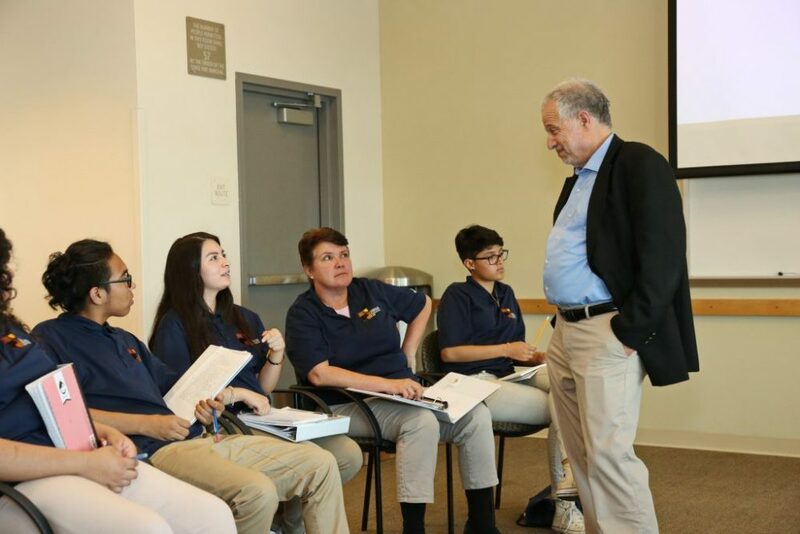 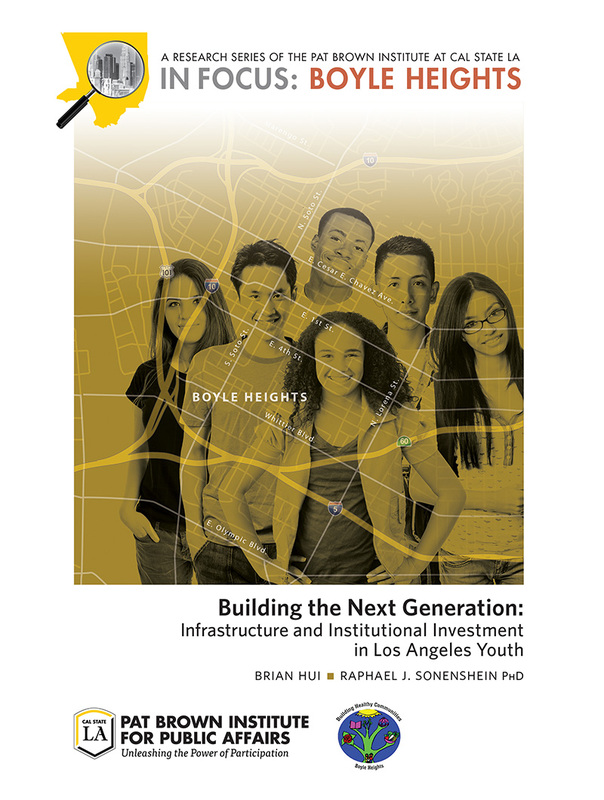 Our Civic University programming taught the CLLI students about South Gate and Huntington Park’s political geography, demographics and voter turnout, providing them tools to address community challenges. 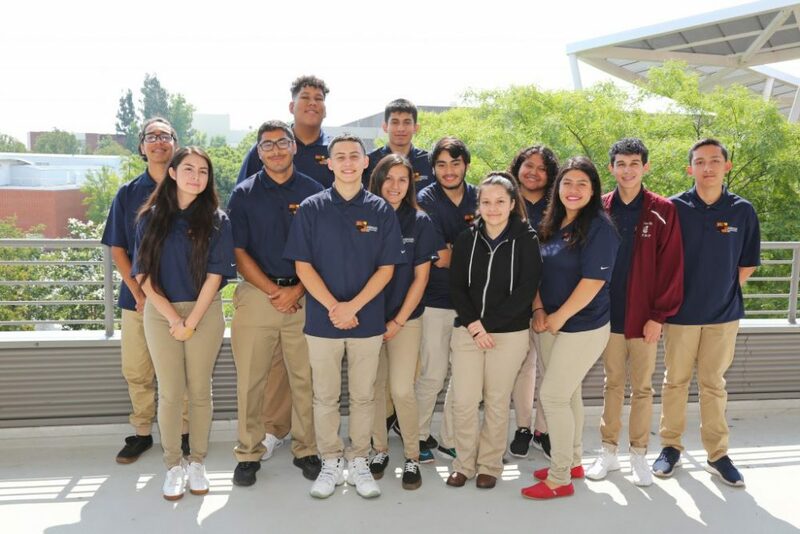 The CLLI students also prepared for future college applications by beginning first drafts of their personal statements with the Writing Center. 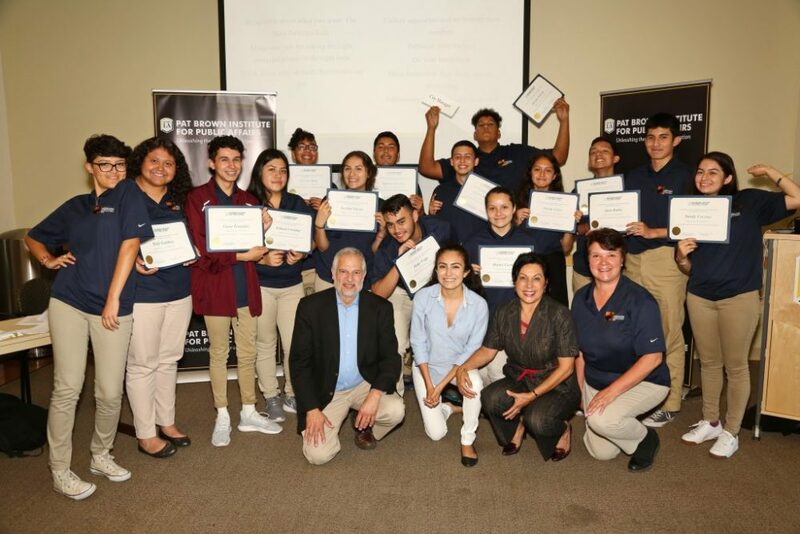 At the end of the series, the student’s received a certificate of completion for the Civic University – Youth Program.